A record of 1,088 students at the University of Nebraska–Lincoln College of Business were named to the Nebraska Business Dean’s List for the 2018 fall semester. The list contained 1,011 undergraduate students who earned a spot on the list by maintaining a cumulative grade-point average of 3.6 or higher for the semester. Amongst the undergraduate students, 261 were also recognized for completing the semester with a 4.0 GPA. 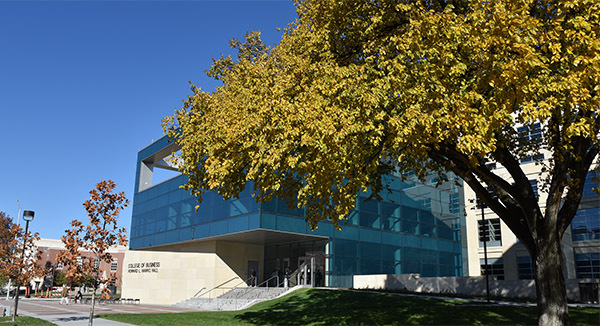 The Nebraska Business Dean’s List also includes graduate students who earn a 3.75 GPA or higher and nine or more credit hours for the semester. Those eligible include graduate students enrolled in the MBA@Nebraska and Flex MBA programs. The following master’s programs are also included: Master of Arts in Business with a Specialization in Intercollegiate Athletics Administration (MAIAA), Master of Arts in Business Analytics and Master of Arts in Finance. Seventy-seven graduate students earned this honor. The Dean’s List includes undergraduate students from all ten majors offered in the college, including accounting, actuarial science, agribusiness, business administration, economics, finance, international business, management, marketing and supply chain management. To view the full list of undergraduate business students recognized on the Dean’s List, visit: http://business.unl.edu/current-students/deans-list/.